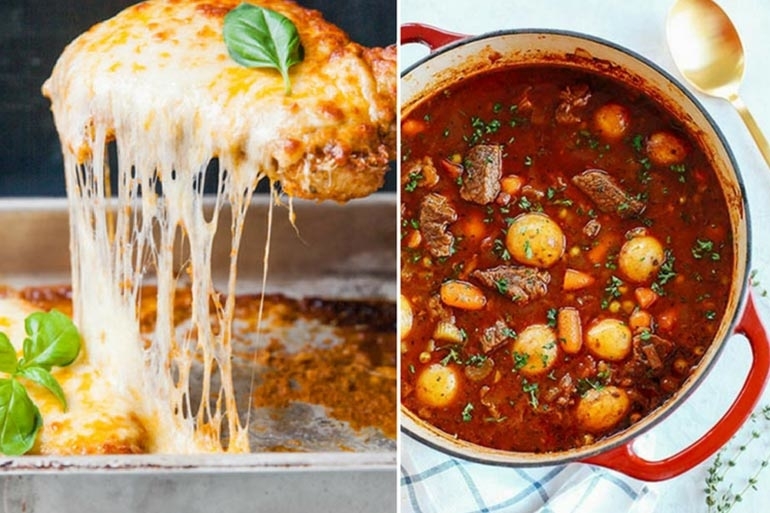 10 Easy Recipes Using Tinned Tomatoes – and ALL of Them Tasty! They’re a pantry staple. Most of us will have a tin of tomatoes in the pantry. Some of us might use them all the time, others will have no idea why they’re there or how they even got there. But whether you’re a canned tomato lover from way back or new to the whole tomato-in-a-tin game, here’s 10 ways to make something lip-smackingly delicious with a tin of nutritious toms. 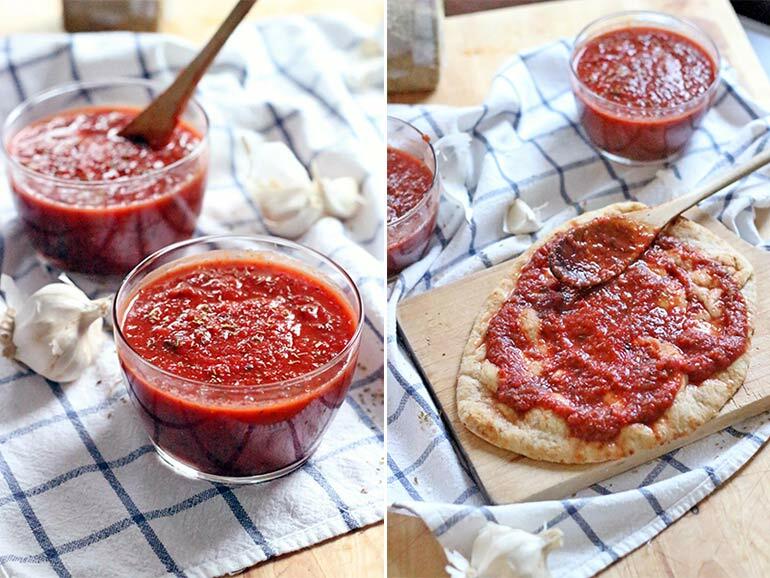 Blitz a tin of toms, add Italian herbs, tomato paste and crushed garlic and you have yourself a super simple and super tasty pizza sauce. Just 10 minutes is all you need with this Bowl Of Delicious recipe. 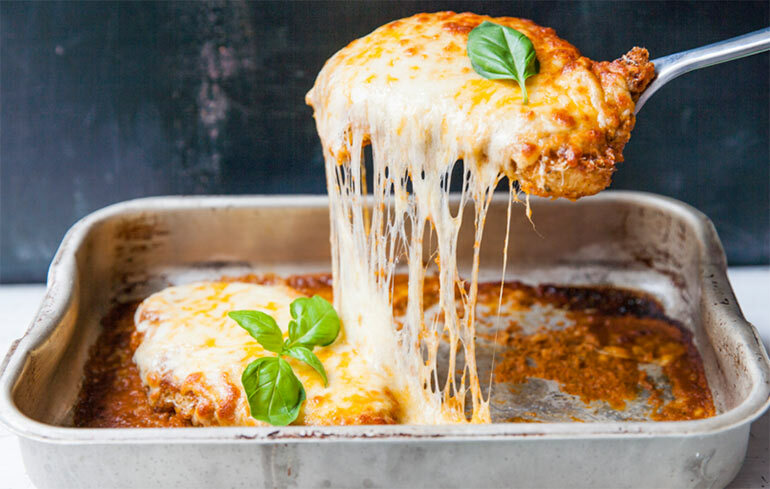 Fancy up chicken or beef with a tinned tomatoes parmigiana makeover. Follow this recipe from Sorted Food, topped with lashings of cheese, it’s sure to be a family favourite. 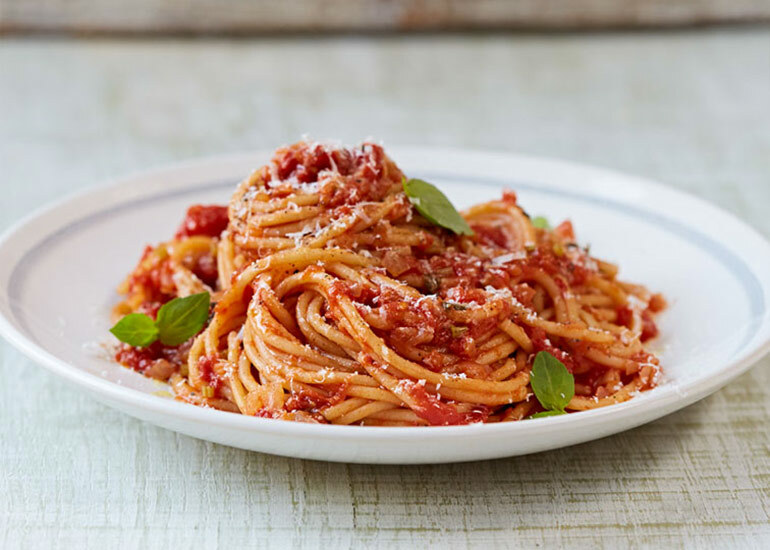 A true classic, tinned tomatoes – crushed, chopped or even cherry – is a tried and true perfect partner to spaghetti – see Jamie Oliver‘s easy spaghetti recipe. Not just spaghetti, a tin of tomatoes can be added to bolognese lasagne sauce, canneloni, you name it – just add it! 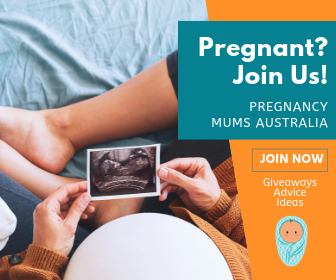 Slow cooker out with all the browned meat and vegetables at the ready? 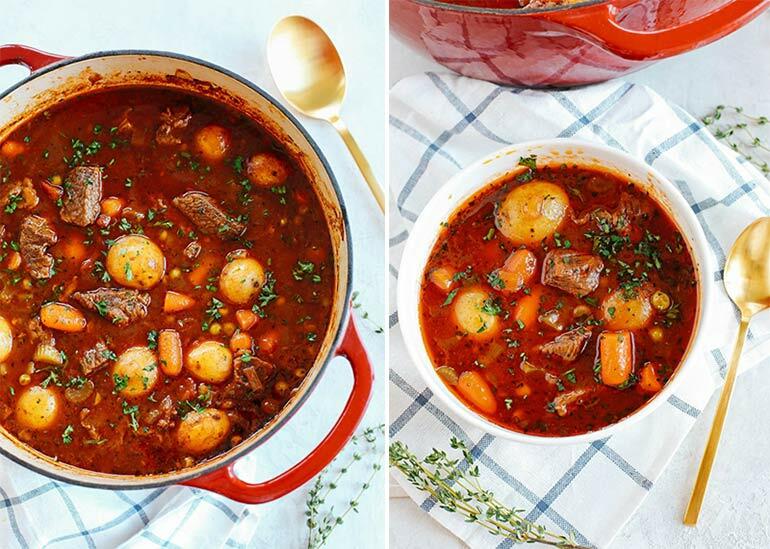 Follow this recipe from Eat Yourself Skinny for a delicious casserole, or simply pour in a tin of chopped tomatoes into your favourite recipe for added flavour. It CAN be done. 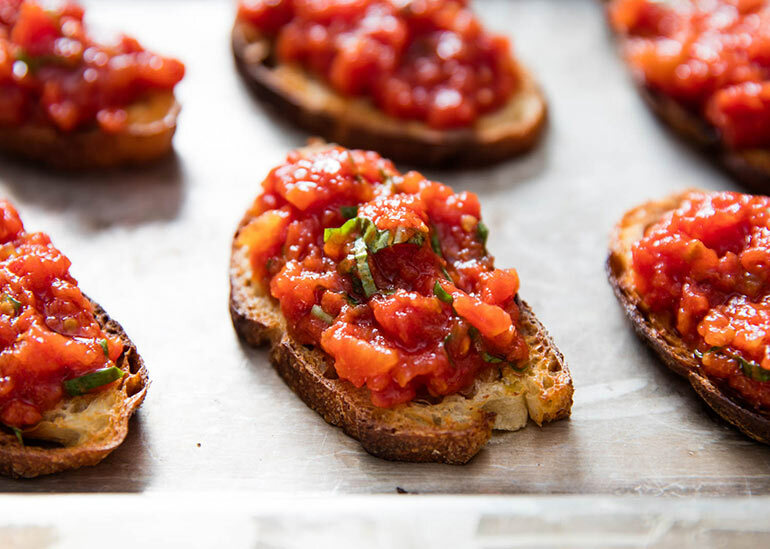 Drain a tin of tomatoes, roast them and you can enjoy bruschetta all year round – not just in the grips of tomato season! 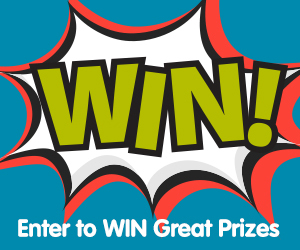 Try it yourself with this Serious Eats recipe! 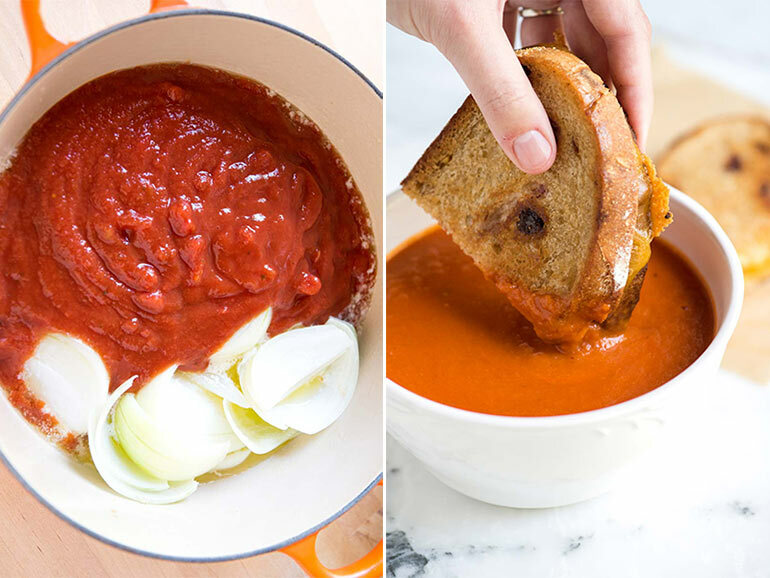 Tomato soup with crusty bread is a go-to, cheap as chips midweek, winter warming meal. Try this recipe, using just a handful of ingredients from Inspired Taste. 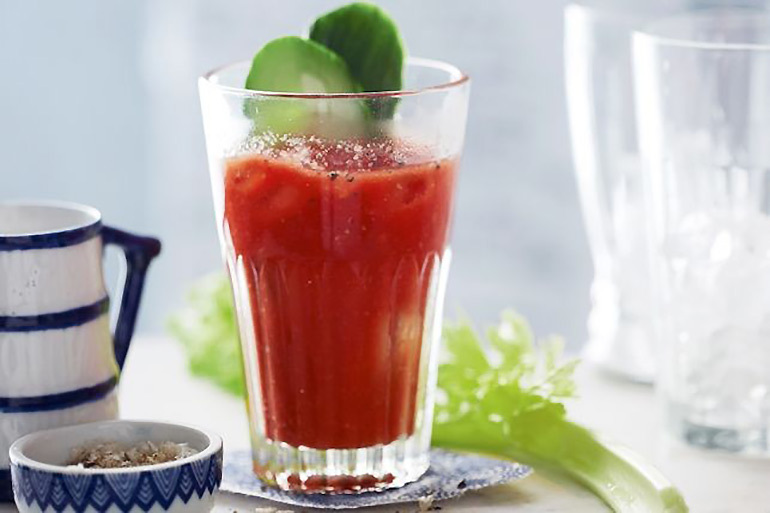 Blitz it, sieve it and you have yourself a healthy glass of tomato juice snack or this Taste recipe for a very delicious bloody Mary cocktail. 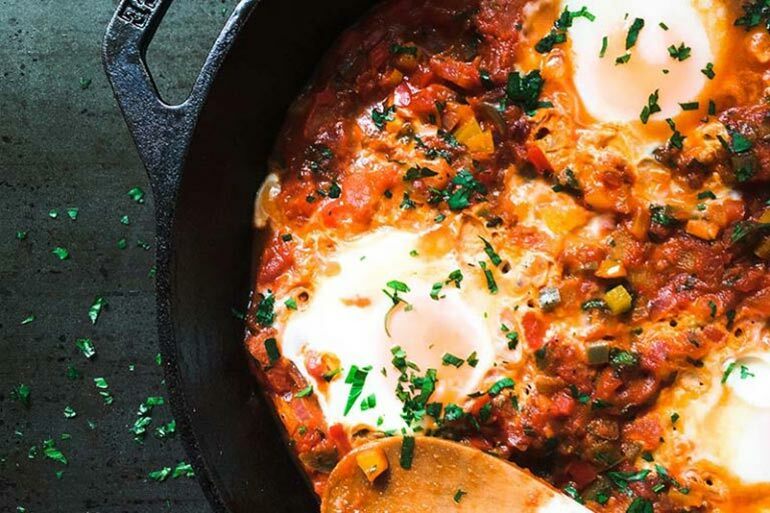 Awesome any time of the day, shakshuka eggs use mostly all pantry ingredients (spices! tomatoes!) for a speedy, flavour packed meal. See our Mum’s Pantry recipe for all the details. 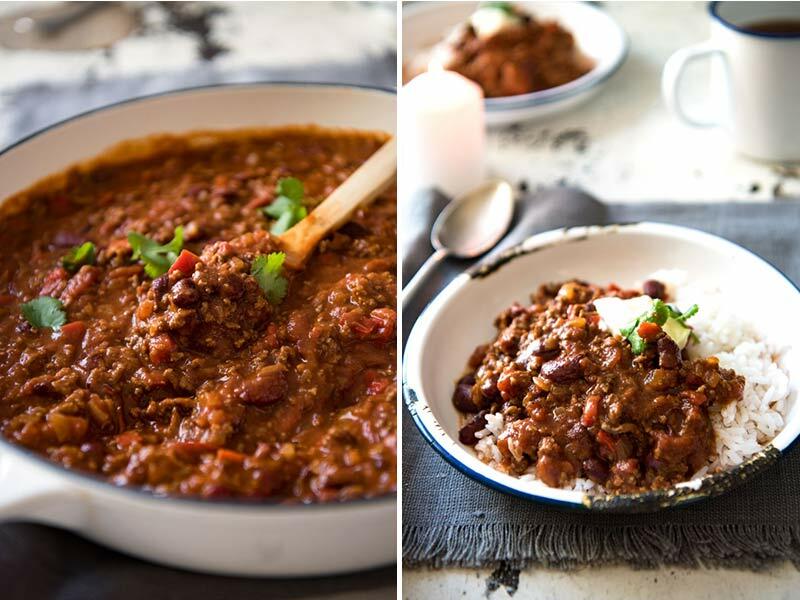 Excellent value for money, use Recipe Tin Eats‘ chilli con carne for topping jacket potatoes, making chilli con carne bowls with salad and tortillas or mouth-watering nachos. Yum! 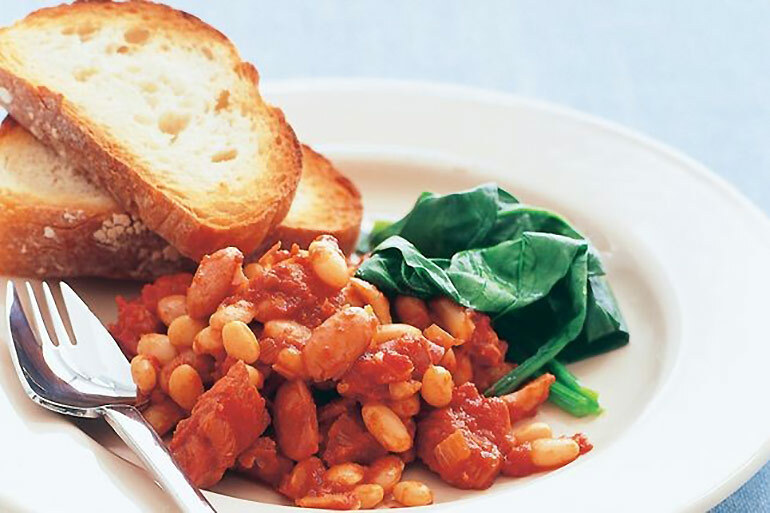 A tin of beans, a tin of tomatoes and a handful of other pantry staples is all you need to cook baked beans from scratch. Mark my words, once you make your own – you’ll never a buy a tin of them again! Here’s a fab recipe from Taste to try. With so many ways to use tinned tomatoes, we don’t blame you for rushing out to buy more! And when you’re done cooking up a storm with tomatoes, try these 13 things to do with chicken drumsticks.